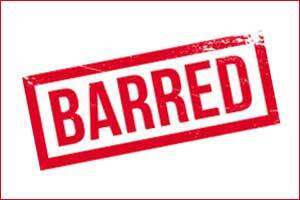 Mumbai: Holding an oncologist guilty for a patient’s death at Kokilaben Dhirubhai Ambani Hospital over four years ago, the Medical Practitioners Tribunal Service (MPTS) has barred the doctor from practising in the United Kingdom. A medical practitioners’ tribunal concluded that Dr Pantula Sastry had knowingly given high dose BEAM chemotherapy followed by autologous stem cell transplantation to a patient with lymphoma whose test results suggested she would not survive it when he was working at Mumbai-based Hospital, according to judgment quoted in the British Medical Journal (BMJ). The concerned case is of a patient, Sushma Agarwal, 55, who had been admitted to Kokilaben Dhirubhai Ambani Hospital (KDAH) for treatment of a condition known as Non-Hodgkins lymphoma. Dr Sastry had performed an autologous bone marrow transplant on the patient. Even after the treatment, the patient’s condition didn’t improve. When the son approached a doctor at a different hospital and there he was told that his mother’s CD34 counts had been inadequate for the transplant. However, the patient died 23 days after the transplant. Disappointed with the treatment, the patient’s son alleged that the doctor performed the transplant with the knowledge that the CD34 count was inadequate and subsequently registered a case of medical negligence with the Maharashtra Medical Council (MMC). But no case in this regard had been heard by MMC till date. Next year in 2015, when the son somehow came to know that the doctor had relocated to the UK, and was practicing there, he reported his mother’s case to the UK’s General Medical Council (GMC), which is allowed under the Medical Act 1983 to consider events overseas that might affect the fitness to practice of doctors working in the UK. After conducting an investigation, GMC initiated proceedings against the doctor in the UK Medical Tribunal to ascertain if the doctor is responsible for the patient’s death or not. During the hearing, Dr Sastry argued that he had been given two different CD34 numbers by the laboratory, so had reverted to an older method of estimating stem cells. But the written laboratory report, the doctor’s contemporary case report, and the death report he wrote a few weeks later all gave the same, lower figure for CD34 cells. He told the tribunal that he had been pressured into writing these figures by hospital management, but this claim was not accepted. However, the tribunal found his claims to be unsubstantiated. “It is your case that having recognized the discrepancy, you ignored entirely the CD34 results and instead proceeded on the basis of the mononuclear cell count,” MTPS asserted. “The Tribunal considers that the prime reason that you have made no apology or expression of remorse is that you maintain that you did nothing wrong. The Tribunal found no acceptable justification for your lack of apology or your repeated attempts to mislead it,” it added. BMJ’s report mentioned that the doctor’s counsel asked for conditions to be imposed on his registration. His actions should be seen in their Indian context where national and hospital guidelines for the treatment were lacking. Dr Sastry’s lack of apology or apparent regret was made necessary by litigation he faced in India, the counsel added. According to the MPTS press office, Sastry has appealed against their order in the UK’s High Court of Justice. Sastry’s legal representative confirmed to HT this development. The health ministry of Govt.of India should read the report with deep attention and try to realize the steps taken by UK to protect the lives of their citizens from someone careless & made in India docs. Thanks to UK govt. for there quick steps to keep the standard of their world famous health department. In India a section of medical practioners\’ negligence to patients is a common matter as they are beyond control .